Some children between the ages of 2 and 17 are eligible for “Child Dental”, this is on a scheme administered through Medicare. The Child Dental Benefits Schedule (CDBS) commenced on 1 January 2014 and provides access to benefits for basic dental services to children aged 2-17 years. The total benefit entitlement is capped at $1,000 per child over a two calendar year period. This is NOT per dentist but per patient. The CDBS has a means test, which requires receipt of Family Tax Benefit Part A (FTB-A) or a relevant Australian Government payment. The dentist is required to give you a consent form EACH year to sign before treatment can be done. This is regardless if the treatment was started in the previous year! If the parent’s eligibility changes for the year, the benefits are withdrawn. This is regardless of how much treatment remains to be done. The dentist is always checking with Medicare on the balance remaining and the eligibility of the patient. Some patient may have seen another dentist so we have to find out what was done and when. This is important as some treatment is only payable every six months and one item is allowed once every two year! Yes there is more… some have a limit each day. The practice electronically claims on your behalf, and we do store your Medicare number but it’s important to bring your Medicare card ALL the time. 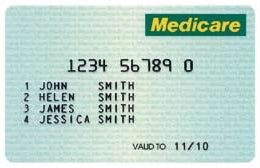 From time to time Medicare will issue a new card for the family. The LAST digit changes and when we try to claim it is rejected! 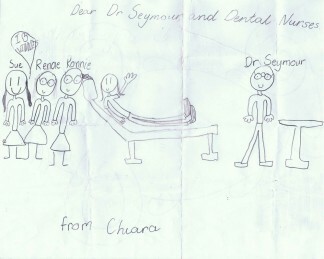 We love working with children, and their parents, by giving them, the best start in their oral health, for life. We do not always love working with Medicare.